We’ve been quivering with anticipation ever since Lego officially confirmed it would be adding Voltron — the universe’s premiere lion-based defender—to its range of fan-petitioned Lego Ideas products. But now, we finally have our first look at the final set and it’s even better than we had imagined. 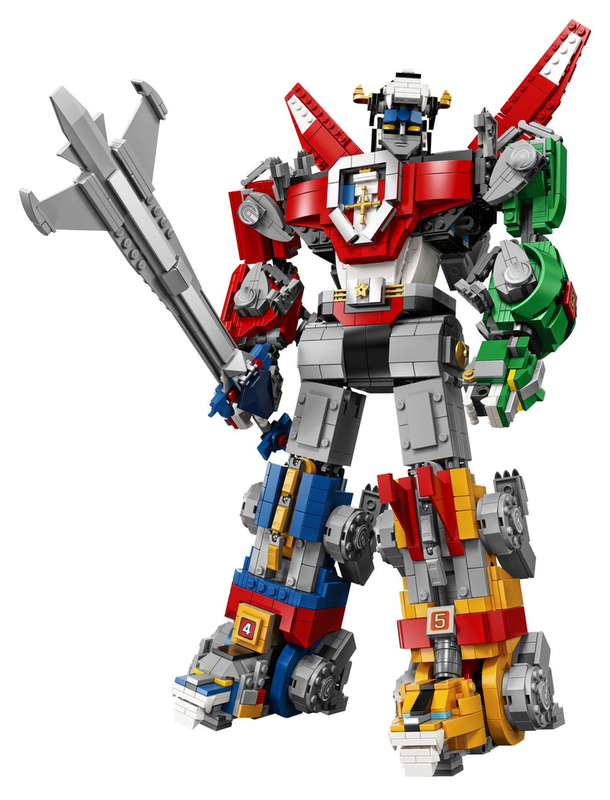 Based on a design submitted by Lego Ideas user Len_D69, the Lego Ideas Voltron is based on the design first seen in the beloved 1984 animated series, rather than the modernised update currently forming up in Netflix and Dreamworks Animation’s excellent Voltron: Legendary Defender. Coming in at a whopping 2321 pieces, the kit is one of the biggest mecha Lego has ever made. 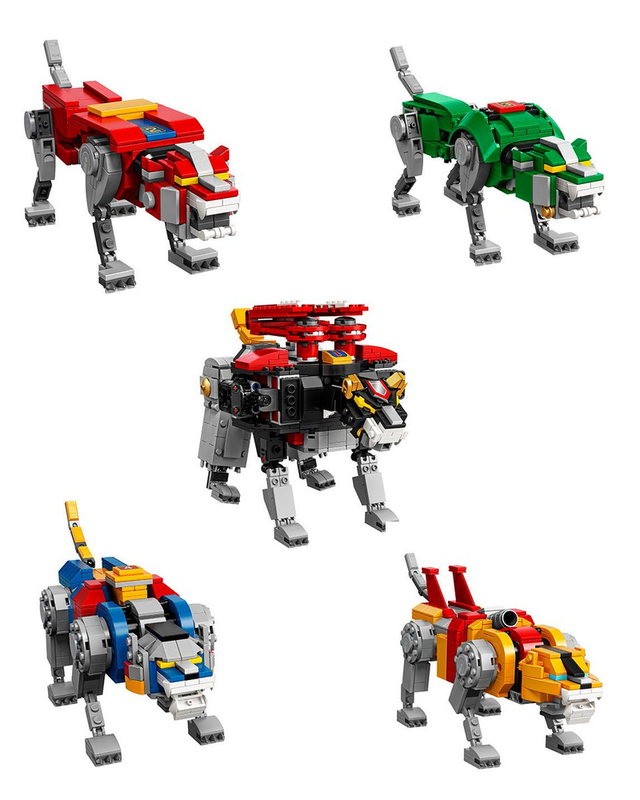 Of course, as any good Voltron toy should, the set features all five main lions from the Voltron Force — Black, Yellow, Green, Red, and Blue — that can transform from their feline forms into the parts necessary to come together and form Voltron itself. On top of that, you of course also get the iconic Blazing Sword and Voltron’s shield for it’s fight against Zarkon’s Robeasts. And seriously, we mean giant. When combined, Voltron clocks in at over 15 inches tall, ready to tower over your desk and defend it legendarily. It also features full articulation in the arms and head (sadly, the legs don’t articulate outside of the transformation process). 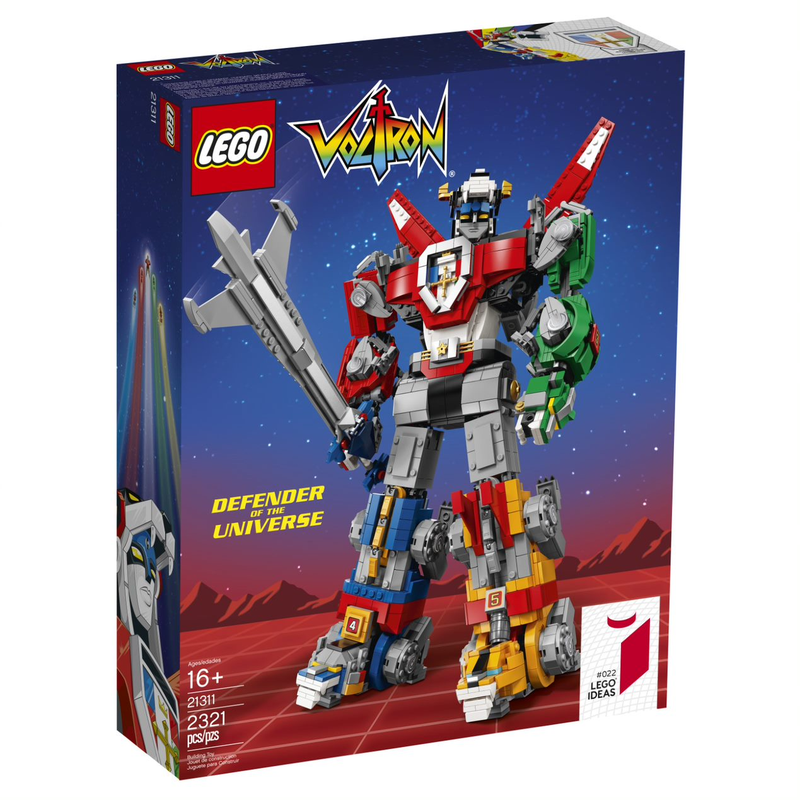 The best news is it actually won’t be that long before you can bag a Voltron set for yourself — the Defender of the Universe will cost £160 and be available from the official Lego website from August 1st.